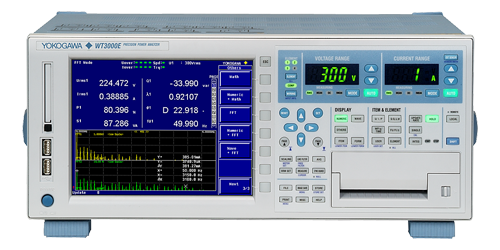 The WT3000E can be used to evaluate magnetic materials. Energy loss due to hysteresis characteristics or over currents occurring in iron cores is called core loss or iron loss. Measurements of iron loss using an Epstein device can be taken as-is because power calculated from secondary coil voltage and primary coil current does not include copper loss. 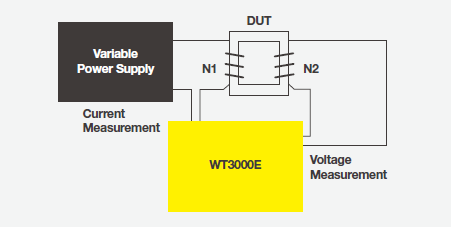 The WT3000E can measure it accurately when a drive frequency of the power supply is much higher than commercial frequency. 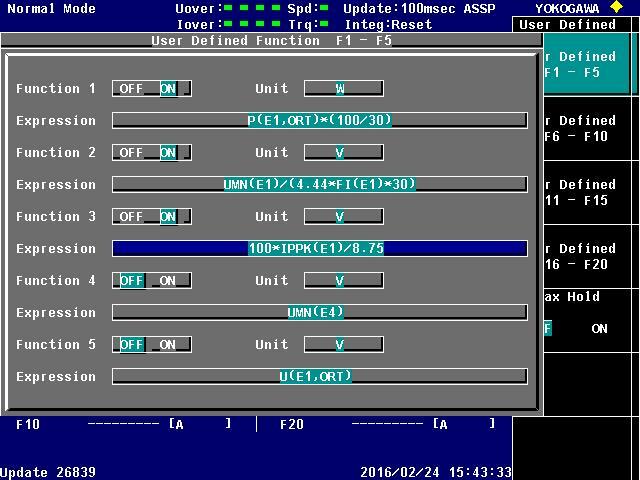 Also, if you input frequency, cross-sectional area, and other parameters, you can calculate the magnetic flux density B and AC magnetic field H using user-defined functions and display the results on screen of the WT3000E. 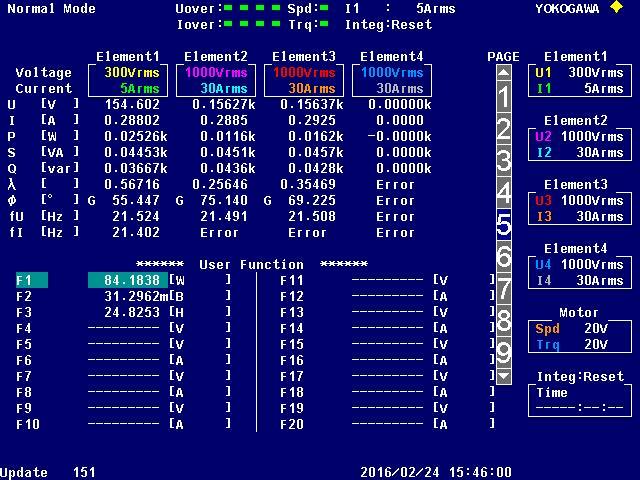 Up to twenty calculated results (from F1 to F20) can be displayed.